BrewBakes is a reputed name in Indian food and café industry. In very short period of its establishment, it has been a renowned name and expanded its coffee shop franchise business across the country, setting up franchise outlets in various cities and towns of the nation. With immense reputation and significant presence in India, now we are willing to expand our business wings and franchise outlets in international markets. We are offering coffee café master franchise opportunities in Vietnam in all its major cities and towns, and looking for like-mined people who are interested in food business or looking for business opportunities in Vietnam. If you are one of those persons who are looking for startup business then BrewBakes coffee shop franchise opportunity in Vietnam would be the best fit for you. Doing business and handling its various aspects is not an easy task. There are lots of efforts people have to make, there are lots of things people need to do, in order to get the success in the business they own. There are also lots of risks in business. Many businesses fail due to lack of appropriate business plan and a good marketing strategy. But you don’t need to worry at all. BrewBakes will not only provide you coffee shop master franchise but also give you remarkable franchise support with training and excellent customer services for the life and growth of coffee shop establishments in Vietnam. We have solid business plan with highly effective marketing strategy which can reduce/eliminate the risk of failure. You will also get several benefits from our side if you opt for our coffee café master franchise in Vietnam. Why BrewBakes Coffee Shop Master Franchise in Vietnam? BrewBakes sees great potential and good locations for growth and success in Vietnam, a South Asian country. Hanoi is the capital city and second largest city (by population) of Vietnam. Ho Chi Minh City is the largest city in the country. Haiphong is a major industrial city, third largest city and centre of technology, economy, culture, medicine, education, science and trade. 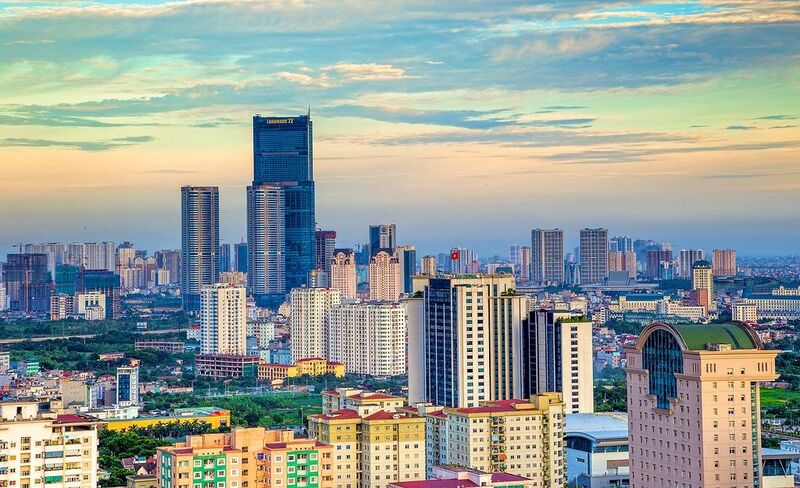 Located on the South China Sea, Vietnam is not only known for its bustling cities, Buddhist monasteries and beautiful beaches; but also for its strong economy and technological & industrial advancements. Vietnam offers perfect business climate and good locations for growth and life of food business startups. There are many restaurants, coffeehouses and café are going great business in the country because of excellent infrastructure. If you too want to establish your own food business startups in Vietnam then coffee shop master franchise business opportunity can be one of the best options you can opt for. There are many factors which ensures success of coffee shop master franchise business in Vietnam. Some of main factors are economy, industries, modern cities, and tourism. Vietnam is the 47th largest economy in the world. There are various businesses and industries which are thriving well in this country. Major economic sectors in the country are agriculture, fishery, forestry, energy, mining & minerals, manufacturing, industries, services, tourism, banking, finance, etc. Vietnam is one of the top rice exporting countries in the world and the second largest exporter of coffee. Hence, here procurement of fresh coffee beans to coffee houses is not a big issues. This is one of the main reasons why you should opt for coffee shop master franchise business opportunity in Vietnam. It has become a coffee giant. It also exports tobacco, indigo and tea. Vietnam is also the largest producer of cashew nuts, and black pepper. Manufacturing industry also contribute to Vietnam’s economy significantly. Major manufacturing industries in the country are handicrafts, food products, consumer goods processing enterprises, steel plants, paper products, food processing, brick production, machine building, chemicals, rubber industries, fertilizers, textiles, vehicles, etc. These industries offer huge employment for people. Working people and professionals in these industries can be a great customer base for coffee shop establishments and food business startups in Vietnam. Service sectors and tourism also play a vital role in economy of Vietnam. The country attracts more than 6.8 million tourists from different parts of the world. The high influx of tourists can be also a good customer base for coffee shops in the country. This is indeed a favorable circumstance for smooth operation and life of BrewBakes coffee shops in Vietnam. Cultural tourism, nature tourism, beach tourism, etc are major components for tourism in Vietnam which are visited by a number of tourists including backpackers, nature lovers, cultural enthusiasts, and beach lovers. Most tourists come here from countries like China, South Korea, United States, Russia, Japan, Taiwan, Malaysia, Thailand, United Kingdom, France, Cambodia, Germany, Singapore, Canada, Sweden, Philippines, Laos, Italy, Indonesia, Netherlands, Denmark, Hong Kong, Finland, New Zealand, Switzerland, Norway, and Belgium. Major tourist destinations and attractions in Vietnam are National Parks, World Heritage Sites, World Biosphere Reserves, and modern cities. Hanoi, the capital of Vietnam, has been voted in the world’s top ten tourist destinations by TripAdvisor, the largest travel site in the world. Hanoi is lovingly called the “Paris of the East” for its French influences. It is also one of the most popular shopping destinations in the world. There are many shopping centers and shopping malls have been established in Hanoi, the capital city of Vietnam. Trang Tien Plaza, Parkson Department Store, Garden Shopping Centre, Indochina Plaza, Vincom Royal City Megamall, Vincom Times City Megamall, Lotte Department Store, and Aeon Mall are popular shopping centers and megamalls in Hanoi offering good locations for coffee shop establishments. Apart from Hanoi, Ho Chi Minh City, and Haiphong; other important cities in Vietnam are Da Nang, Bien Hoa, Can Tho, Vung Tau, NahTrang, Buon Ma Thuot, Hue, and Hoi An. Establishing coffee shops in city areas of Vietnam can be certainly a wise decision as you can see a great customer base in major cities and towns of this country. For more details about franchise models and coffee shop master franchise business opportunity in Vietnam, contact us today. Call now: +91-7838938556, 011-22755534 / 43016140. Grab this opportunity and become your own boss.